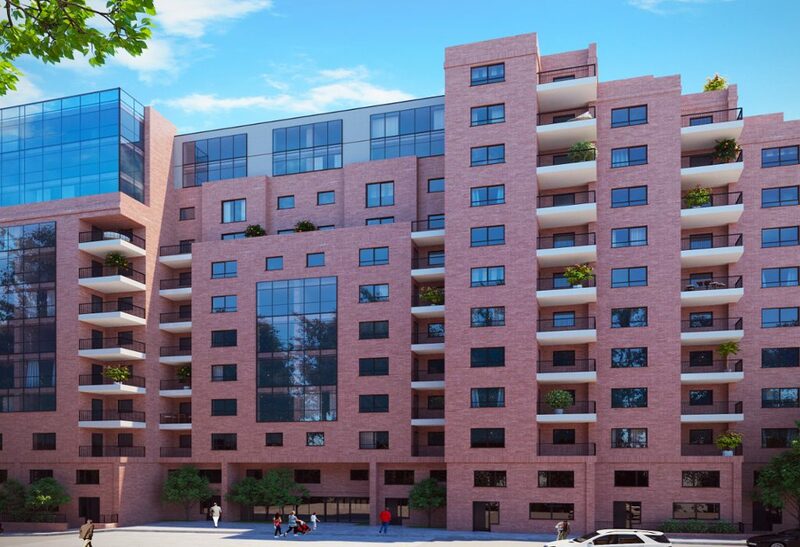 YPG Developments, the regeneration-focused property company behind the luxury Kings Dock Mill apartment complex taking shape on Tabley Street, has revealed that there only three apartments left on the market, out of a planned 204. The high-end one, two and three-bedroom apartments and townhouses have proven a hit with private buyers, both locally and internationally since being released to the market in April 2016. Institutional investors have shown similar interest in the overall development. Earlier this summer, the Bank of London and The Middle East plc backed the scheme with a £18 million finance package. Construction work is progressing well, with phrase one works set to finish this month [October], and the full project on course for a spring 2019 completion. The tiered 10, 11 and 12 storey building was approved by planners in 2016, with YPG first given the go-ahead to demolish the existing disused industrial buildings. Once complete, Kings Dock Mill will also provide 70 parking spaces, accessed from Sparling Street, and 100 cycle spaces. Residents of Kings Dock Mill will benefit from panoramic views over the River Mersey and ready access to the independent bars, workshops and artisans which make up the Baltic Triangle. The apartments’ location also Liverpool Lime Street, the Albert Dock, the Echo Arena, and Liverpool One shopping centre, all within easy reach. Ming Yeung, Managing Director of YPG Developments, said: “Interest in Kings Dock Mill has been healthy from day one. The Baltic Triangle is white hot in terms of investor interest and with the culture and creativity on offer, it’s not hard to see why. “But potential buyers from around the world are scrutinising the area in the wake of a series of failed schemes. They’re looking for reassurance that they will see a return on their investment. “At YPG we’ve a track record of delivering well-received, high-end residential projects, and doing so in consultation with local authorities and existing communities. “Many of them are sold off plan before a spade has broken ground. Acting as both contractor and developer, we can offer the security that CGIs will become bricks and mortar; private and institutional investors alike are buying that peace of mind. “We’re pleased to see Kings Dock Mill taking shape so quickly and look forward to welcoming residents to the finished development next year.